We are delighted that Liz's interest has become a Guest Blog for Preservation Idaho. We look forward to her next contribution...maybe a Tourtellotte and Hummell expedition she started a few years ago! We hope you enjoy this tour and take time to visit these sites in person. Liz Greene was born and raised in Boise and she plans to live out her days here. Here is her story: I work in marketing, but local history has been a passion since I was introduced to it in the fourth grade. I have two shelves on my bookcase entirely devoted to books about Boise and Idaho's amazing past. Back in 2009, I went on an expedition to photograph what remained of Tourtellotte and Hummel's architecture in Idaho, but I wasn't able to finish. I'm hoping to take it up again soon -- especially now that I have a much better camera. Two of my other great loves are makeup and dogs. Makeup's a hobby (an expensive one, at that) and dogs are....well, they're just amazing. I have two, but I'd prefer to have 100. When I was a child, my friends would hold their breath as we passed graveyards in the car — I’d press my face against the window to get a better look. I wasn’t a trip to the park that I begged my parents for; it was a walk through Morris Hill or Pioneer cemeteries. Luckily, my parents weren’t put off by my fascination — they actually encouraged it. In my 31 years, I’ve visited so many cemeteries that I’ve completely lost count. However, there are four here in the Treasure Valley that are dear to my heart. I’d like to share a little bit about their history, my favorite times to visit them, as well as some rules on cemetery etiquette and tips on preservation. 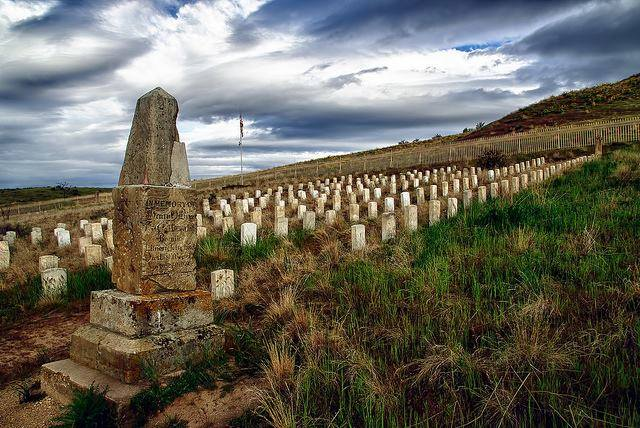 One of the oldest and best-known cemeteries in the Treasure Valley, Pioneer Cemetery has been in continuous use since the area was settled in 1863. There are 1,796 marked graves — but many more exist. A large number of the first interments had markers constructed of wood, which have, unfortunately, deteriorated with time. However, the markers that do still exist feature some of Boise's earliest and most prominent citizens — including eleven Boise mayors, eight Ada County sheriffs, and four Idaho governors. As so often happens with historic cemeteries, there was a large expanse of time where the cemetery was little used and neglected. Not only were headstones stolen and vandalized, but the cemetery fence disappeared as well. In 1990, the Boise Metro Rotary Club and the Boise City Parks & Recreation Department worked together to restore the cemetery. They installed a new fence, fixed broken tombstones, and erected a historical marker just outside the cemetery. Pioneer cemetery is truly lovely in the autumn, when the leaves have started to fall and the air is crisp. If you visit in the evening, it’s not uncommon to hear the BSU marching band playing at Bronco Stadium as you walk among the tombstones. Morris Hill cemetery began it’s life (no pun intended) in January of 1882, when Mayor James Pinney purchased eighty acres on the bench specifically for the purpose of establishing a new resting place for Boise residents. Pioneer Cemetery was nearing capacity, and prices on the remaining plots had risen. Since the cemetery was originally platted (creating thousands of available lots), more sections have been added, establishing thousands more. The cemetery currently consists of 60 developed acres, 55 sections, and a mausoleum. There are over 32,000 people interred, and much like it’s predecessor, it’s home to quite a few famous Idahoans — including William E. Borah, Frank Church, Joe Albertson, and J.R. Simplot. Thanks to the abundance of mature shade trees, Morris Hill is one of my favorite summer destinations. Be sure to print out a map and enjoy the walking tour. Fort Boise Military Cemetery (colloquially known as Cottonwood Cemetery) was originally located a half mile south at the old Boise Barracks. In 1906, a flash flood overtook Cottonwood Creek, causing major damage and erosion to the graves — prompting the cemetery to be moved to a safer location. Initially, a total of 166 graves were moved. However, many more were discovered at the original site throughout the 20th century, and have subsequently been dis and reinterred. Today a total 247 enlisted men, officers, officers' family members, and civilians rest in the Fort Boise Military Cemetery. 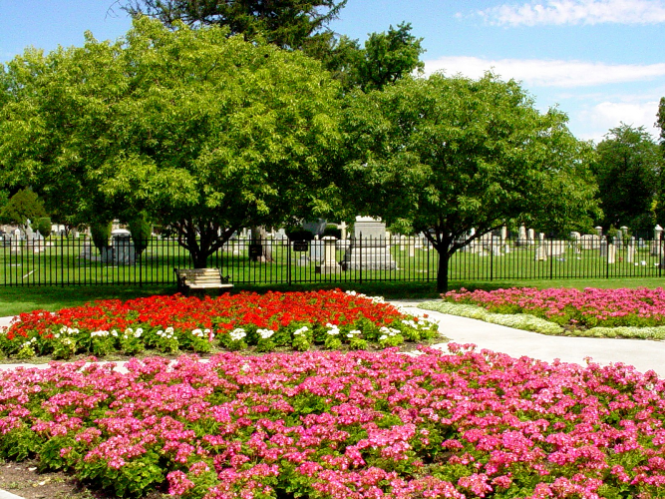 Shortly after World War II, the Department of Veterans Affairs deeded the cemetery to the city of Boise with the understanding that it would be maintained as a historic site — and kept in its natural state. Since the site was isolated from the late 40s through the early 70s, vandals took their toll on the beautiful white markers, using them as target practice or just outright stealing them. In 1978, in order to retain the ecological state of the land, the Park Board of Commissioners named the area surrounding the cemetery a reserve. Thanks to the development of trails, road access, and recreation opportunities, increased use has greatly reduced vandalism. Fort Boise Military Cemetery has a stark beauty. The rows of uniform, white tombstones among native, high desert plants give the cemetery an oddly abandoned look — yet it’s much the same as it looked at the turn of the century. Winter is my favorite time of year to visit this gorgeous graveyard. The snow and surrounding foothills create a reverent silence that’s beautiful to behold. Despite being in continuous use since 1863, Pioneer has the air of an abandoned, ghost town cemetery. It is estimated that over 3,000 graves are scattered through the forty forested acres, but only 300 markers still stand. Of the first 200 graves, only 28 belong to those who died of natural causes. From mining accidents to murder, life in Idaho City wasn’t easy for pioneers — and neither was death. 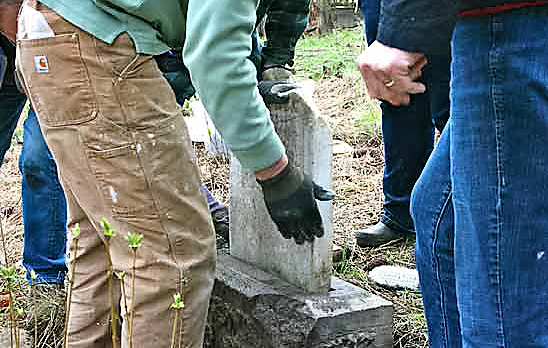 What remains of Pioneer Cemtery has been lovingly repaired, restored, and maintained by the Idaho City Historical Foundation. Pionner is absolutely gorgeous in the spring. The smell of pine, gusts of cool air, and crunch pockets of snow mesh perfectly with the rusting iron fences and crumbling gravestones of this mountain cemetery. Boot Hill Cemetery is located just outside of Idaho City. Take main street and follow the signs. Most cemeteries welcome tourists, but there are some rules and etiquette to keep in mind. ●Before your visit, read guidebooks and/or the cemetery website so you know what to expect. Check specific opening hours and holiday closures. If there is a cemetery office, ask for a map or directions to find the locations of your “must-see” grave or monuments. Some cemeteries provide guided tours for a small fee. Proceeds from these tours usually support preservation efforts, so it’s definitely worth it to fork over a few bucks. ●Most cemeteries permit photography — but check with the office first. ●Don’t lean, stand, or walk on headstones and tombs. ●If you see something amiss (i.e. vandalism), inform cemetery staff. ●Be quiet and respectful to the people around you — there may be active burials taking place during your visit. Many of Idaho’s cemeteries have been threatened by neglect, insufficient funds, and urban renewal. We owe more to these sacrosanct places than to simply let them fall to the wayside, forgotten along with the pioneers and trailblazers that rest within. Thanks to the tireless work of Boise City Parks and many volunteers, the cemeteries on this list will remain for generations to come. However, other cemeteries may not be as lucky. ●Determine — and coordinate with — the owners or governing agency responsible for the land. ●Seek funding and partners. Since cemeteries are highly local in nature, look for partnerships with historic societies or civic groups. ●Pursue historic site designation. Unless it is part of a historically significant property, or resides in a historic district, it’s hard to get a cemetery listed on the National Register of Historic Places. However, getting listed on a state or local register is still advantageous, as it makes the site eligible for funding. ●Arrange for training and technical assistance. Volunteers will need to learn necessary skills such as surveying and documentation, stone cleaning and resetting, and site maintenance before getting to work. Coordinate with local historical and preservation societies to arrange such training and connect with people who have the technical skills to help. Ask for locals knowledgeable in stone work, masonry, and ground penetrating radar (for finding unmarked graves). Any other features or buildings. Develop a maintenance plan. Prioritize loose or unbalanced markers, unstable surfaces, and crumbling retaining walls. After any safety issues are resolved, move on to fixes like iron and stonework. After the initial restoration, the cemetery will require significant ongoing maintenance. Consider hiring a groundskeeper, and then relegate all non-plant related care (such as inspecting grave markers for damage) to volunteers. For more information on cemetery preservation, please contact Preservation Idaho, the Idaho Historical Society, and Idaho Heritage Trust. Idaho is fit to burst with everything from lively, active cemeteries to those in deserted ghost towns. The four on this list are just a few personal favorites, but there are many more in the Treasure Valley (and beyond) worth visiting — so put on a good pair of walking shoes and get out there.